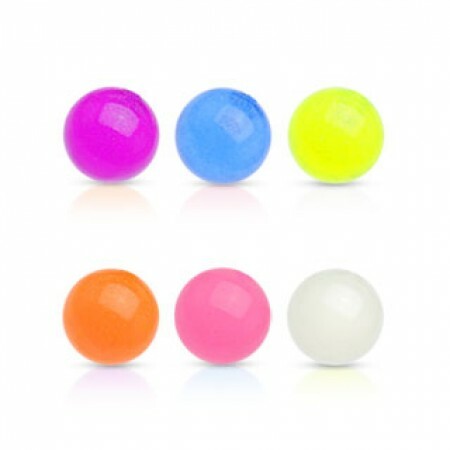 These screwballs are made of Glow in the Dark acrylic meaning the light up in the dark. Do take note that the Glow in the Dark effect only works when they are charged through exposure to light. I always go for plain spikes because I have a top and bottom belly button piercing . Finally found something else that i love just as much. They do glow in the dark , you just have to make sure it is exposed to enough light.